The Karpaz Peninsula or “panhandle” as the British called the north-east part of Cyprus is a land where time stands still. There are miles of sandy Karpaz beaches with not a person in site. Ancient towns, basilicas, ruins and tombs scatter the area waiting to be explored. To get a taste of Cyprus 20 years ago, the traveler must visit the Karpaz. There are rural traditional Cypriot villages where the land is agricultural and the majority of the villages live off the land. The Karpaz peninsula was densely populated in Roman times; it was one of the largest baronies under the Lusignans. 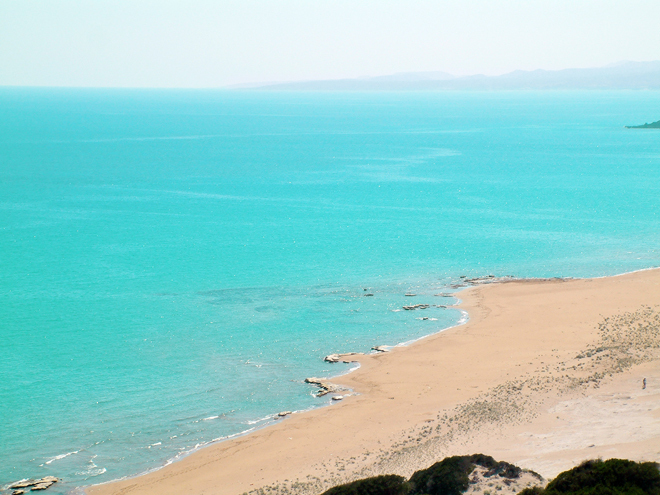 The Karpaz Peninsula has miles and miles of wonderful Karpaz beaches. It is quite normal to share the sea shore with donkeys rather than other tourists. The area is rich in subterranean water reservoirs and thus crops such as tobacco are grown in abundance. Another main source of income in the region is fishing. Bogaz and Kumyali are the fishing centers in the Karpaz. As well as numerous Byzantine churches, the most notably the Monastery of Apostolos Andreas, the area boasts some of the finest countryside in the country. The Karpaz peninsula has been called the nature reserve of Cyprus for birds, wild flowers, and sea fossils are to be found everywhere. Karpaz peninsula is also almost totally free from heavy concentration of industry and people, and is one of the least polluted regions in the European periphery. Escaping the last ice age, the island of Cyprus has managed to retain a substantial amount of biological diversity with a significant amount of endemic species -plant species number about 1,600 (22 endemic); bird species about 350 (7 endemic); and there are 26 reptile and amphibian species for most of which the Karpaz is the natural home. 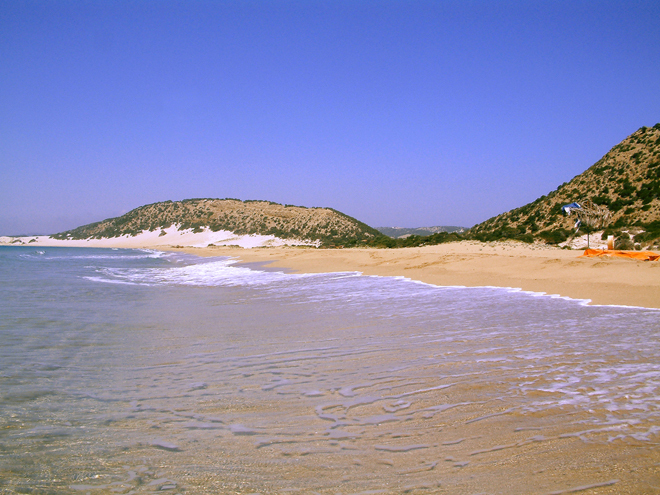 Moreover, about 46 sandy beaches in the Karpaz comprise the main nestling ground for the endangered Chelonia Mydas and Caretta Caretta sea turtles in the Eastern Mediterranean. In 1992, about 1,500 rare female turtles laid eggs on the shores of North Cyprus. The last colony of European Audouin seagulls nest on the small Klidhes isles at the tip of the Karpaz Peninsula in North Cyprus.